dwarfhamsterhome.com has no access to or control over these cookies that are used by third-party advertisers. Google’s use of the DART cookie enables it to serve ads to users based on their visit to dwarfhamsterhome.com and other sites on the Internet. This website is a free resource designed for Dwarf Hamster owners. As our name suggests, our primary focus is providing you with all the information you will need relating to Dwarf Hamster ownership! This website will always be 100% free, supported by the commission we receive when you purchase products after clicking on our links. Please feel free to contact us with questions or comments. 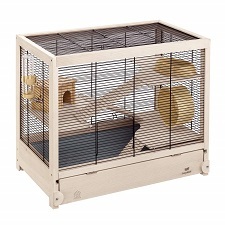 Dwarf Hamster Home Copyright © 2019.